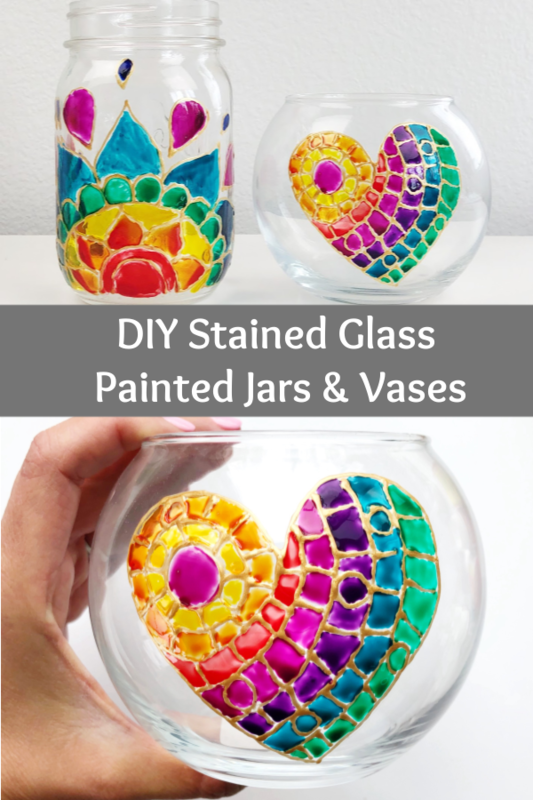 I’ve always wondered how to create a stained glass effect by painting jars and vases. I’ve looked and tried all different kinds of methods, techniques and supplies, but I’ve finally found the holy grail of painting stained glass jars and vases. 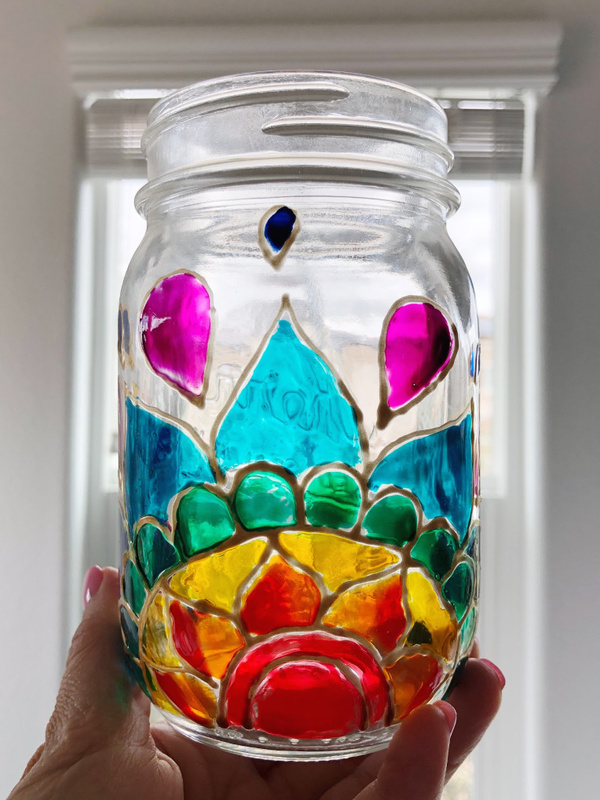 And now I want to turn anything and everything that’s glass into stained glass. 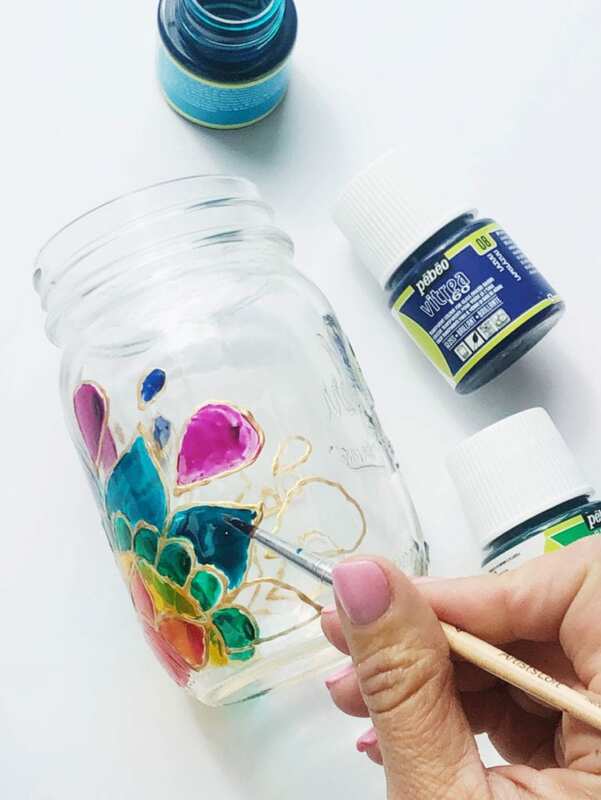 Glass Jars and Vases – I use these 16oz mason jars because there’s a logo only on one side which leaves the other sides blank and perfect for decorating. 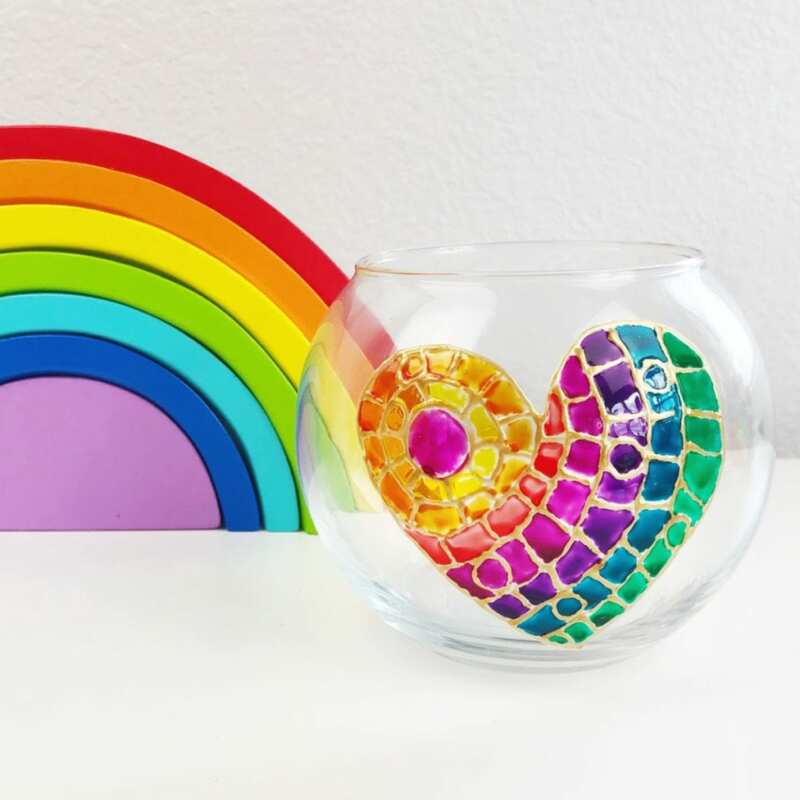 You can find a ton of vase options here. Pebeo Vitrea 160 Glass Paint – I purchased this full set of Pebeo Vitrea 160 glass paint because I wanted all the glossy colors. You can also purchase colors individually. Just be sure to get the glossy colors. 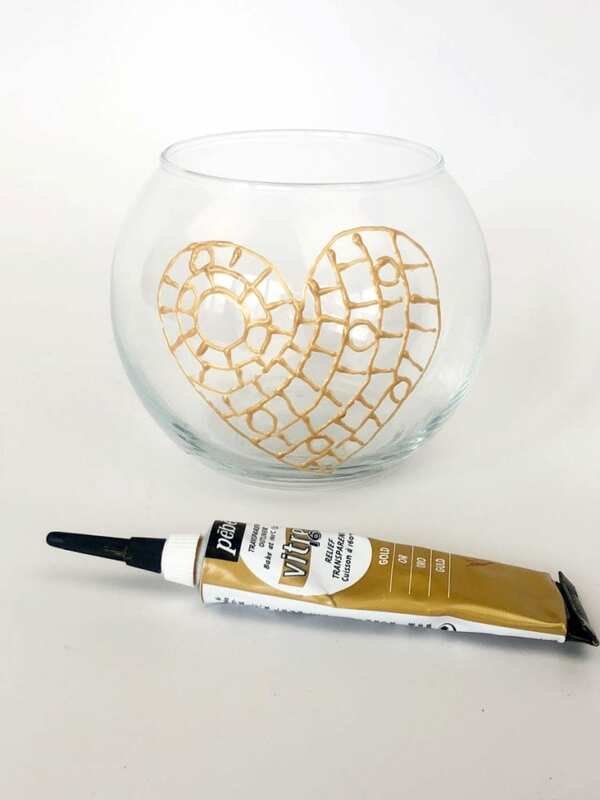 Pebeo Vitrea 160 Glass Paint Outliner – I used the gold outliner but you could use any color. 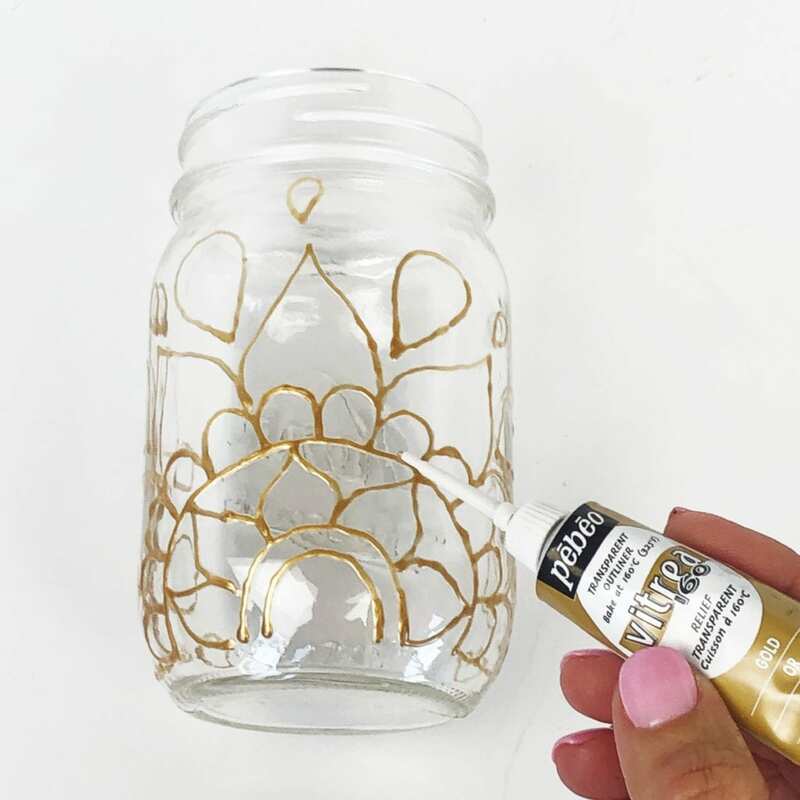 Step 1: Start by outlining your design on a jar or vase using a Pebeo Vitrea 160 Glass Paint Outliner in gold. 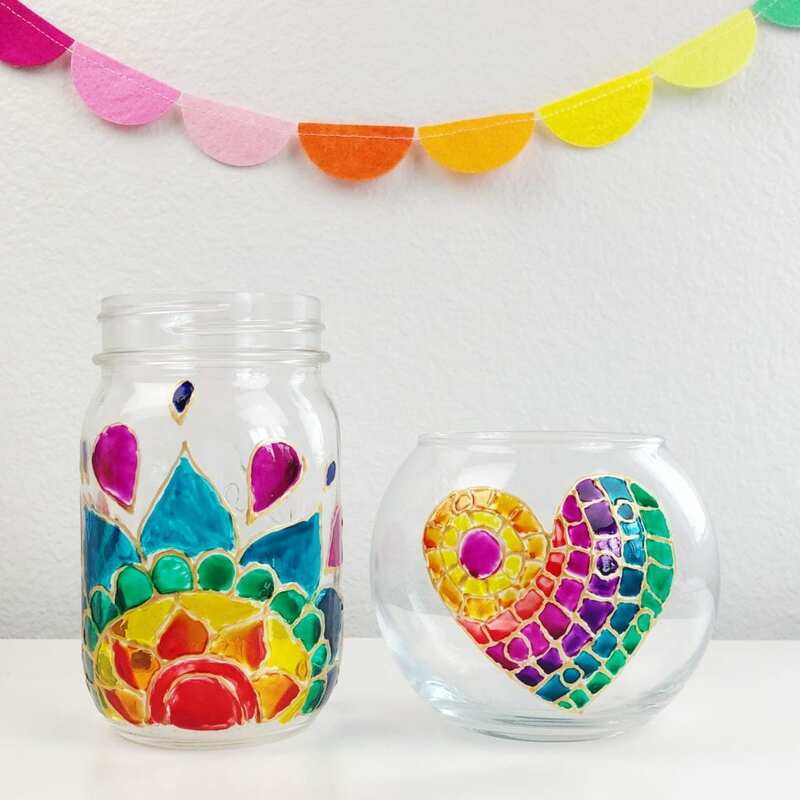 If you don’t want to freehand your design, you can first draw it on a piece of paper and then tape the paper to the inside of the glass. Step 2: Once the liner is dry, add your Pebeo Vitrea 160 Glass Paint using a paintbrush. I found that if I had too little paint on my brush it was hard to get smooth coverage. It was easier to add more paint and move it around once it was on the jar. Step 3: Let the paint dry for 24 hours and then follow the baking instructions. 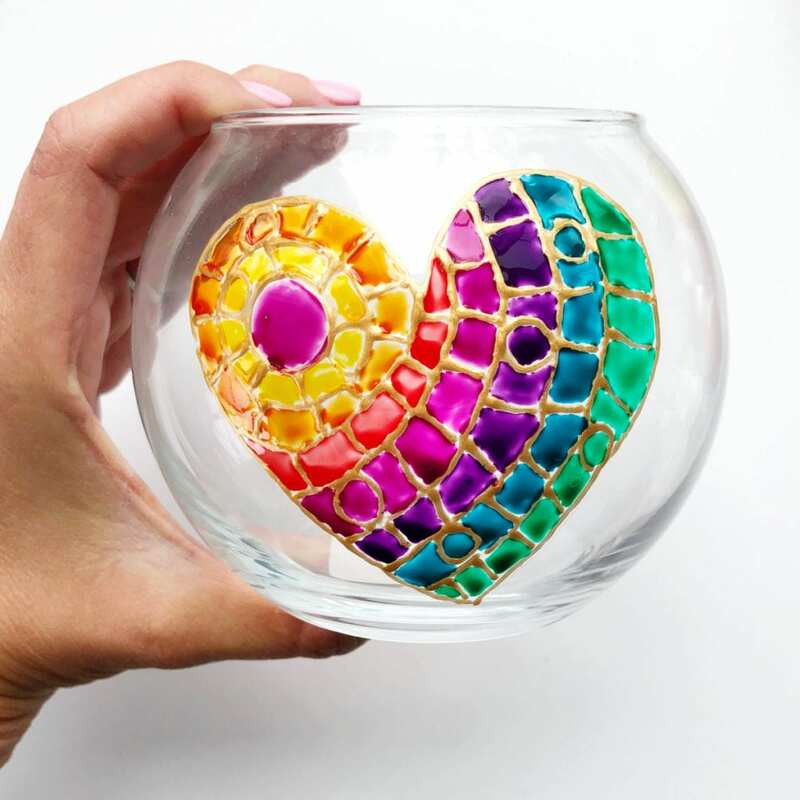 Step 4: Place your finished glass piece in a cold oven and set the temperature to 325°F. Once the temperature is reached, allow to bake for 40 minutes. I love how transparent the paints look on the glass, it’s just like stained glass art. 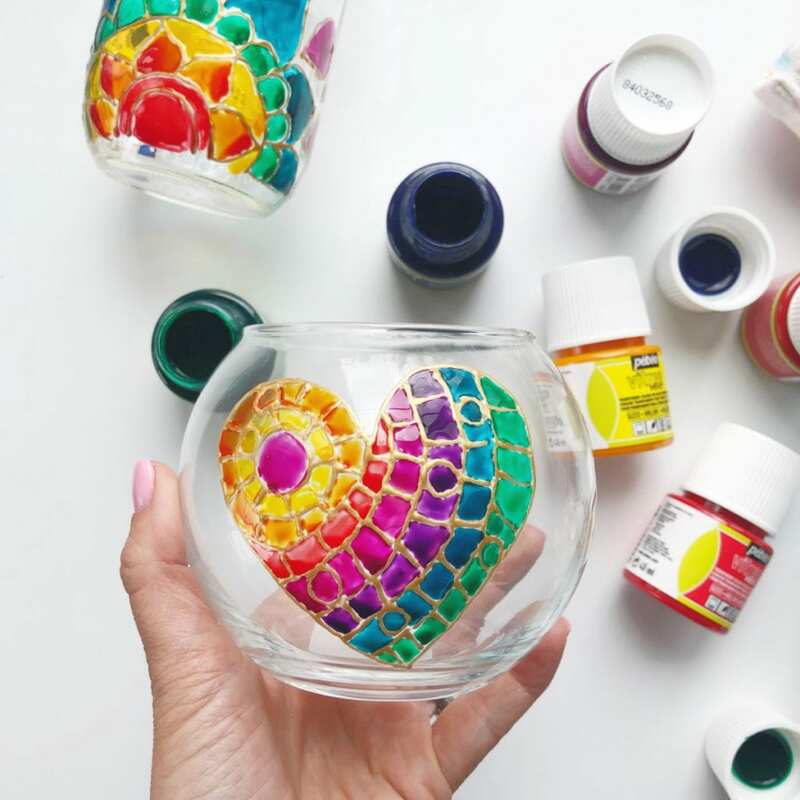 There’s so many different ways to use this glass paint. I’d love to see what you come up with. 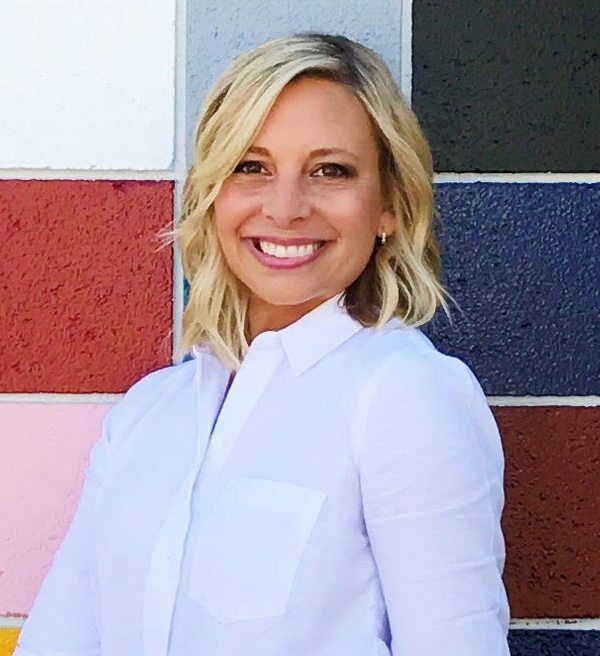 Come share your finished projects with me on Instagram @Colormadehappy or Facebook.